When Google (s goog) launched its Google+ social network, the company made it clear that it wasn’t just another Buzz-style experiment — director of product Bradley Horowitz said Google+ would become “part of everything” the company did. And over the past year or so we have seen a bit of what this means in practice, with G+ content being incorporated into search results and other services. But these attempts have also meant an almost inevitable clash between what Google wants and what users want. We got a glimpse of that on Wednesday with actor and author Wil Wheaton’s response to a change on YouTube. Is promoting Google+ worth it? Wheaton, who has parlayed a starring role as the young ensign Wesley Crusher on Star Trek: The Next Generation into a career as an author, wrote on his widely-followed blog that when he went to give a video a “thumbs up” vote on YouTube, instead of the usual thumb icon that he used to see, there was a Google+ button. And hovering over the button showed a popup that asked him to “upgrade to Google+” before he could vote on the video (according to a comment from Google, it is testing different interfaces for YouTube votes including a Google+ button, but has not made a widespread change). Oh, go f*** yourself, Google. This is just as bad as companies forcing me to “like” something on Facebook before I can view whatever it is they want me to “like.” Just let me thumbs up something, without forcing me to “upgrade” to G+, you ****heads. Making it so that only Google Plus users can decide whether a YouTube video is worth watching benefits no one except for Google Plus: It is bad for viewers, bad for video creators, and bad for YouTube’s ability to curate and tailor videos to potential viewers. The addition of Google+ voting buttons to YouTube videos no doubt seems like a natural extension of the network — one directly in line with the philosophy that Horowitz outlined last year, where Google+ becomes a “social layer” on top of everything the company does. And using YouTube as a way to promote the network as a destination and encourage users to sign up probably seems like a natural thing to do as well. But the response from Wheaton and Gaiman and others shows that some users are going to see it as an attempt to shove Google+ down their throats whether they want it or not. There was a similar kind of response when Google added G+ content to its search results as part of its “Search Plus Your World” feature: critics (including us) complained that this was a breach of Google’s promise to its users that it would present an unbiased view of the world, and that it was effectively putting its thumb on the scales in order to promote its own network. And it seems to be doing more and more of this in an attempt to overcome the perception that there simply isn’t enough room in the market — or in most people’s online lives — for yet another social network. Buttons on a YouTube video may seem like a relatively small thing to get so upset about, but it’s just one more lever that Google is using to try and push users into its network whether they want to go or not. Is that really the best way to get the kind of goodwill that a successful social network requires? Google was not left with any choice. He could not allow Facebook to Gobble whole internet. They have to transform. They have to know everyone who ever is using any services of Google. The transformation of Google is just because of US. I feel pretty safe in giving my details to Google that Facebook. After 5 years we will be discussing on how Google fall due to Google+, they haven’t spare Gmail, Blogger, and Picasa, so where Youtube will stand out. It also need to be sync with Google+. I was one of the ones who was stuck with a “share on google+” button instead of a thumbs up for a few weeks. If you just ignore it and use the thumbs up/down button at the end of the video (top right corner) it will eventually go away. I was actually using google+ before that, googles pushiness was the reason I quit. I’m sorry, “the kind of goodwill that a successful social network requires”? On what planet does Facebook have goodwill from its users? The difference between the reality and the perception of what Google+ is causes most of these problems. Google+ is, at its core, a single-sign-on solution that exists across all Google properties with a not-so-subtle encouragement to represent yourself as a real-life person. 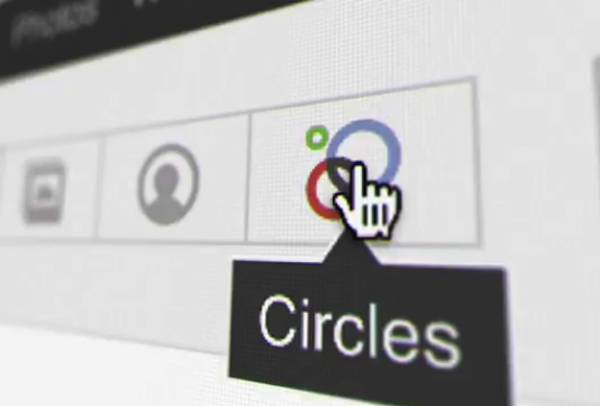 You don’t even have to have a ‘social network’ (group of friends) connected to your account to use the Google+ sign-on. As far as privacy is concerned, you can still use a pseudonym if you want and, in my opinion, Google has created the most straightforward and powerful social permissions system (who you’re sharing with) of any digital product. The precedent of Facebook, an exclusively social web service, is really skewing expectations of Google+. The truth is that you can use Google+ anywhere on the continuum of ‘totally private SSO’ to ‘extremely open social network’. I, for one, and impressed with Google’s accomplishment on their social feature integration. Systems this complex and contentious aren’t easy to architect. But I believe, with respect, you miss the point that one does not have to have a G+ signin to use a single Google property; I can have Youtube and Picasa access without a G+ account. Many users of those properties do not want to convert to G+. I’m a big G+ supporter but this was a dumb move. Then again don’t tech companies like to pull this kind of stunt just to get a rise out of people and see how much they really care? I have to ask the question did Google do this intentionally just to see how much people would care? I find this as a moot point. Everyone should have expected this because nobody took such a huge stance against having to like something on Facebook to do anything. This is everyone’s fault. I hate Facebook but I realize that fb is the majority but there should have been a huge uproar against everyone making you like something on fb to do anything and then companies would consider it the damn norm.. Everyone has created the social networking monster yet now they want it optional? I do not agree that you should have to join g+ to like a video on YouTube and i certainly don’t agree with having to like something on fb but Mr Wheaten why didn’t you help to rain in the fb monster? I have a Google + account but I do very little with it at the moment and i love Google but everyone that made fb the supposed social networking God is at fault here. We should all be given a choice, make that clear to fb and Google will get the message as well. They say “power corrupts and absolute power corrupts absolutely”. Looks like google is using/abusing its “absolute power” yet again. Google needed to replace the like button if they want people to get used to using their plus button. It was dumb to keep the like button when it makes people think of Facebook (its rival!). They also need to add the minus button to replace the dislike button which is just as important as the like/plus button. What we dislike is just as critical as what we do like. I agree with this 100% percent, but what I want to know is where is the outrage when Facebook does all these things? Wil Wheaton addressed it in his rant, but I don’t feel like I’ve seen it too much elsewhere. Also, when you’re talking about Google adding G+ content to its search, are you talking about that bar that appears on top that says “___ personal results?” If so, that’s actually quite useful and not obtrusive at all. Know what I’m tired of? Every damn thing I do on the Internet having to be a “social” experience. I work online, and all day long I am constantly urged to “share” whatever thing I just did. I wonder how long it will take the Internet community as a whole to experience the social fatigue I am now feeling. I’m pretty sure I’m not a Luddite anti-social weirdo. So, it only seems inevitable. Google is driving me to alternative search engines. Just sayin’, Google. i like the ‘+1’ concept better than the ‘like’ concept. And maybe there should be a -1 button? Thanks, Mathew. I’m surprised at how many commenters are, in effect, yawning. Google’s integration sets my teeth on edge. Kinda like Microsoft integrating everything into Windows. Same monopoly profits push. This is not the same thing as Apple’s ecosystem, which is driven by hardware. I have several geek friends looking at alternatives to gmail because it now shows Google+ profiles and updates alongside mail. That’s set my teeth on edge, too. Everyone I know is NOT in the same network, and I don’t mean digital social space. I mean network in the old-fashioned sense of the word. You can easily turn the Google+ profiles in Gmail off. No need to quit Gmail over this. Ultimately, I am NOT a social media type, so consider that when I say: “Yet another Social Media?”. Why? What features make this social media a better choice? Honest expressions of my views are still not implemented. ‘Thumbs upping’ (starting from no given opinion) needs to be countered with ‘thumbs down’; just like BaceFook needs a ‘did not Like’. I see the concept of only pushing towards positive feedback is counter to the idea of telling others that such and thus is not helpful or is not useful. If someone asks me about a certain car, I would offer both positive and negative points. I’m surprised to have seen so few references to how Google is killing Picasa Web Albums to promote Google+, moving photo editing and even some privacy controls over your albums exclusively to Google+, making permission much harder to understand (and to default toward allowing re-sharing of albums set to limited viewing). Sure, I realize that there will always be risk to putting anything online, but I don’t need Google imitating Facebook and herding me toward sharing more. I’ve been rooting for Google for a long time now, on Android and Gmail, never had an iPhone. I’m even a Google+ member, but the way they’re trying to funnel everything I do on Google properties into a social network is beginning to irritate, even scare me a little. Much more and I’ll be looking more closely at the Apple eco-system this fall. This sentence made my head hurt. Arg. Misread what you wrote and now I can’t delete. Curse you, under-baked GigaOm commenting system! FarmVille Jamaica Live heralds the rise of the phenomenon of the kibbutz for those Jamaicans who live in the Concrete Jungle and want their children to experience someplace magical, family oriented and to learn about the joys of eating what you grow. This is an indication of the power of Facebook in Jamaica; its resulting in new social Trends in the real world. The day google+ can do that, they would have beaten FB on the ground as well as in the browser!!! I thought the reason why google requires a sign-in to +1 something is so that people just don’t do it over and over again, or write scripts to stuff the ballot box. Yes, it’s a hassle, but its not that important if you don’t vote. I don’t click on the Like button because I don’t have a FB account, and that’s o.k. According to the srticle, YouTube wanted him to log into yet another social media account in order to give a video a thumbs up. It’s one thing to have to log-in to the site you’re on in order to vote (it makes it harder to skew the vote on a whim), but to have to log in to another site owned by the same company not only gives another step that many users may not want to take, but requires registering for an account people might not want. It will end up skewing video rankings in favor of what Google+ account holders like. I agree. I’m an active G+ user, and I welcome a G+ button just about anywhere — including YouTube, but that button needs to remain separate from the thumbs up/down rating that already exists. The thumbs need to stay, and should not require any other social media ties. Didn’t these users already need to sign up to youtube to use the thumbs-up button? What’s the difference? The difference is that they many are likely already users of YouTube, since they are going there to watch videos — but the G+ button appears to require that they have a Google+ account as well in order to make use of it. I still don’t see the problem. In time Youtube and G+ will be the same sign in anyway, so there won’t be a difference. People don’t get up in arms about using the same FB sign in to post a message or play a game…this is just merely Google slowly combining all its products. Google wants to have ONE Like/+1 button across all their services, and they want them to be interconnected. To Marc, below, et. al., regarding “People donâ€™t get up in arms about using the same FB sign in to post a message or play a game,” actually indeed some people, however few, do. While I have an FB account, I only use it for very limited circumstances. When I go to a site that requires FB login to comment or FB for a +1, I simply refuse to engage rather than use my FB login; I have no desire to give FB the information, end of story. I also have a G+ account and Youtube account. While I was annoyed they forced those logins to be shared, I did accept that. But many people are on Youtube and engage there with no desire to use a G+ account; it seems to me counter-productive for Google to potentially lose those users’ input or lose those users entirely, as I have been lost on sites that have gone to FB-only login. Agree with Perkuna here. The change is minor at best. To upvote you needed a youtube acount which was linked to your google account anyway. And having separate upvote buttons across each of googles properties seems stupid. Think about it one upvote in search which has no connection to upvote in youtube which is different from an upvote in Google finance which is different from upvoting a blogger post. Facebooks like is getting close to the universal upvote button, But then its closed and Facebook will not share its data with anyone so companies like Google need to invent their own upvote button – which they did. Will wheaton is afraid that his videos will not get enough +1’s but will get a lot of of thumbs up’s. Not too sure about that… What is open is what happens to the old google upvotes and and what happened to downvoting … Is there a -1 button ??? All I can say is embrace change and move on ! Not everyone uses Google. Why should I have to join them in order to “thumbs up” something on You Tube?